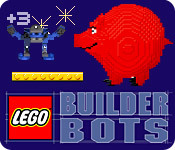 In LEGO Builder Bots you create and command sculpture building robots by catching falling LEGO bricks. 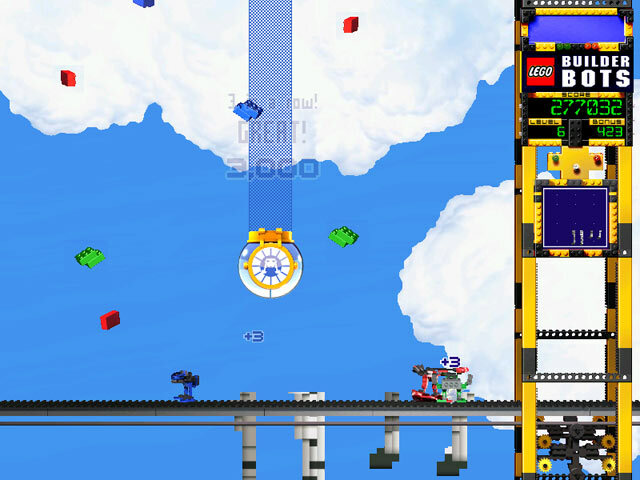 Keep up with the fun, frenzied arcade pace and build classic LEGO towers, characters, animals and more! 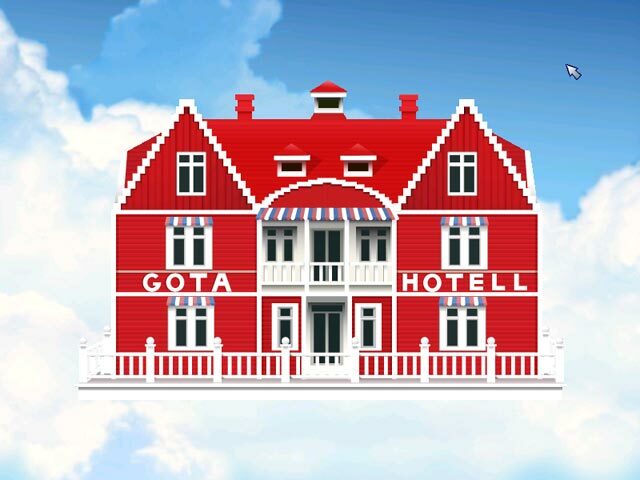 Each level contains a new sculpture. 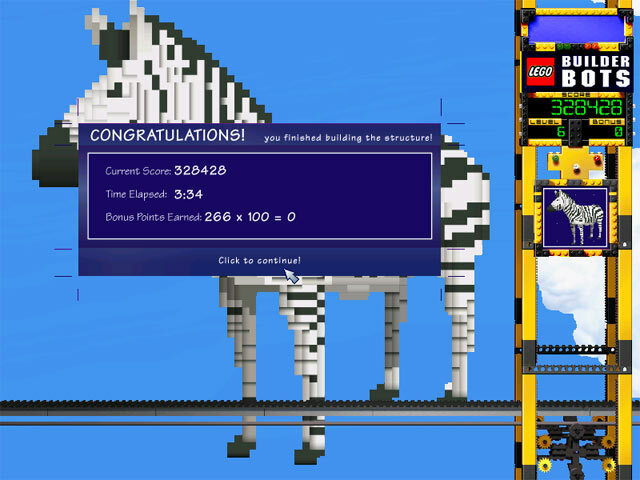 Keep up with the fun, frenzied arcade pace and build classic LEGO towers, animals, characters and more!